Easter, kids and crafting – it’s a merry mix. Make it even more fun for mum and dad by losing the apres-craft mess factor from your home. 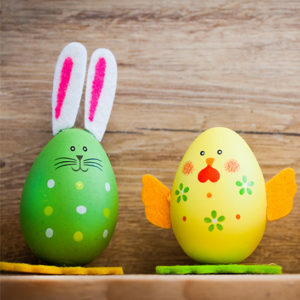 Instead, bring them along to Restoration Yard’s Easter egg painting workshop where kids can take their egg creativity to the max with glitter, paint and cute animal accessories. Suitable for all ages with parental assistance for younger ones. Cost: £15 per child/ £12.75 for loyalty cardholders (see email for discount code). Booking available online – please bring your email confirmation with you on the day.